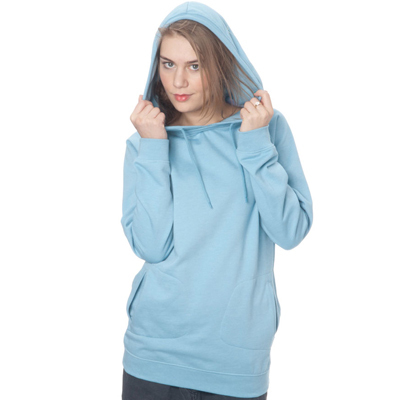 The Layericx Girl Long Hoody from Cleptomanicx is an extra long cutted sweat with round-cutted collar and a big hood with drawstring. 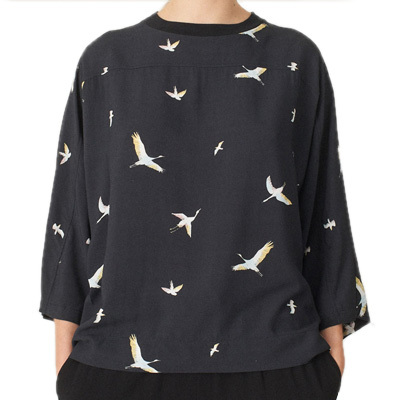 You'll find two decent internal pockets with exterior seams on both sides, a logo embossed button and a seagull embroidery on the chest. Italian Fleece, 50% cotton, 50% polyester.